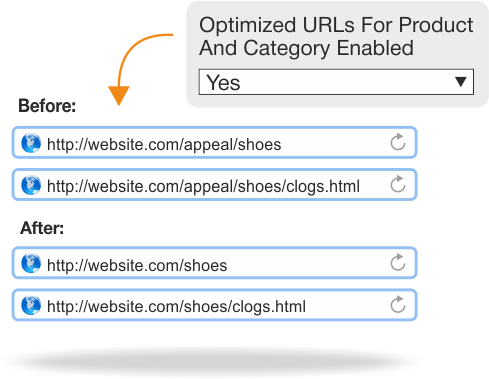 Use 20 templates to optimize metadata optimization on product, category, layered navigation or blog pages. 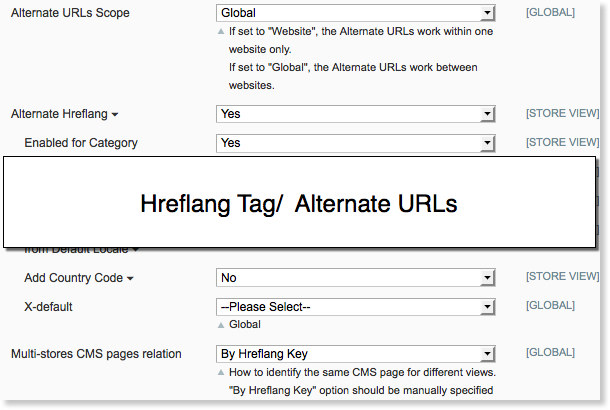 Easily set canonical tags all types of pages. 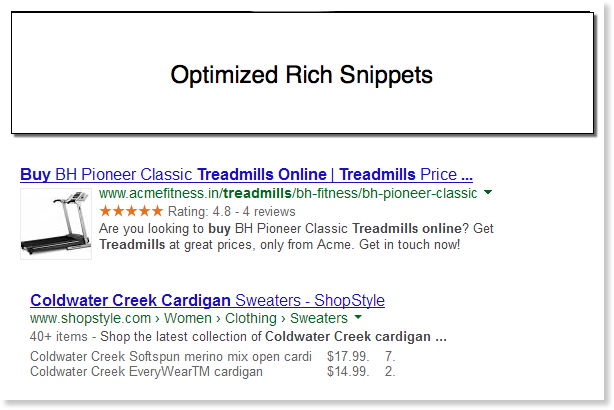 Add markup tags to tell search engines what your pages are about. 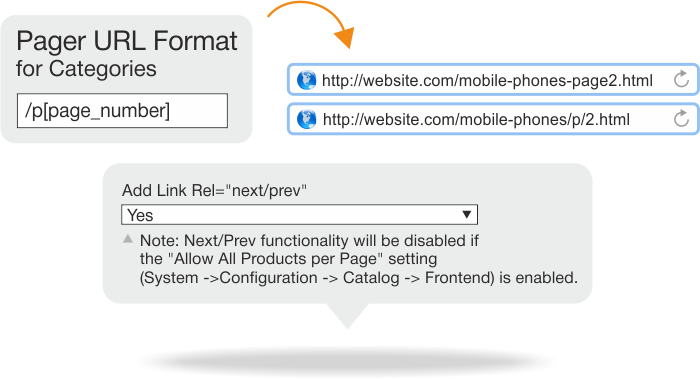 Create 301/302 and custom redirects to/from any product/category/CMS page/custom URL. Manage all critical SEO activities, such as category SEOGrid, breadcrumbs, redirects, cross-linking, SEO forLayered navigation pages, etc. All-in-one Magento SEO solution. The extension reduces search optimization workload and dramatically improves online visibility of a Magento-based store. 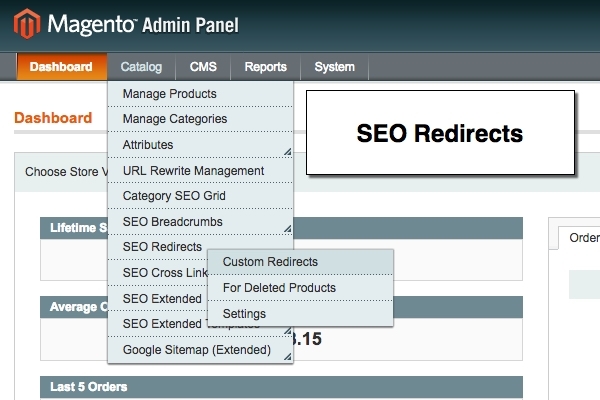 Check out the detailed Magento SEO extensions review. What is SEO Suite Ultimate for? Ease the pain of adding/ editing/ managing Meta Data for multiple store pages. Automatically add UNIQUE Meta Tags for Product, Category, Layered Navigation or Blog pages. Product Templates will help you automatically optimize an unlimited number of product meta titles, meta descriptions, URL keys, short and long descriptions, meta keywords, alt tags of product images and product SEO name (H1) tags. All you need is a list of your product attributes. Product Templates can be created for different Store Views (different languages), with local Store View templates in a higher priority. This type of templates can be applied to all products that match their conditions OR to products with empty fields only. Also, the 'bulk-apply' option lets you apply multiple templates all at once. Category templates can be created for different Store Views (with local Store View templates in a higher priority). This type of templates can be applied to all categories that match their conditions OR to products with empty fields only. Also, the 'bulk-apply' option lets you apply multiple category templates all at once. 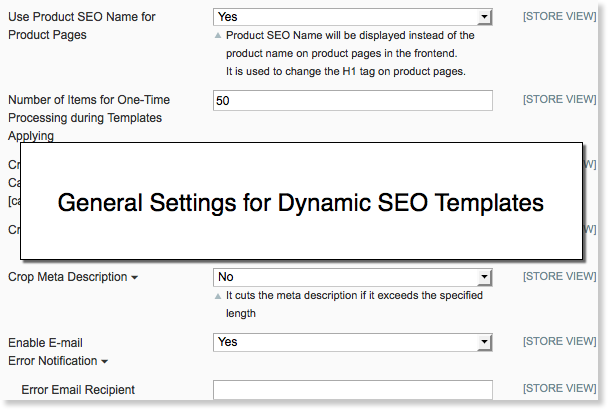 NEW Dynamic variables for category SEO meta templates. NEW Variables to add any number of parent categories to a Category Template. 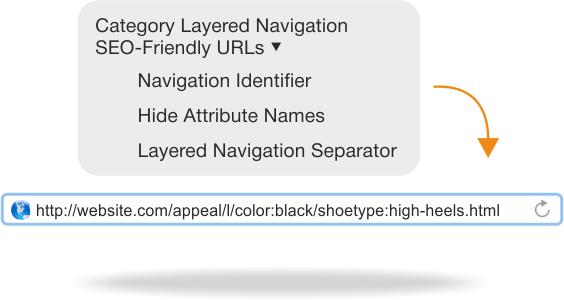 Templates for pages filtered by Layered Navigation can be used to optimize page meta title, meta description, meta keywords and full description. Templates can be created for any available LN attribute (e.g. color, size, shape, brand, gender, etc.) and assigned to different Store Views. 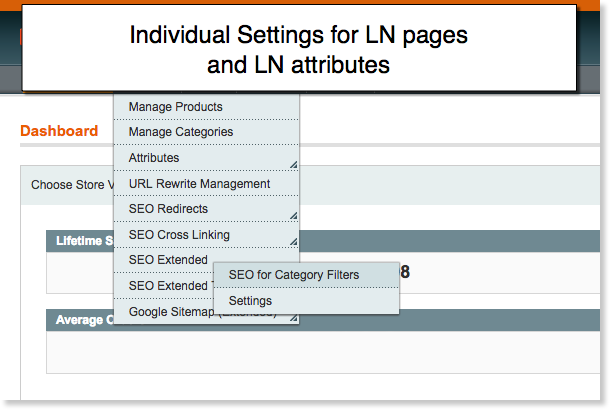 SEO meta templates for LN pages can be assigned by all categories or a chosen category tree. Additionally, you can specify meta data for LN pages filtered by certain attributes. 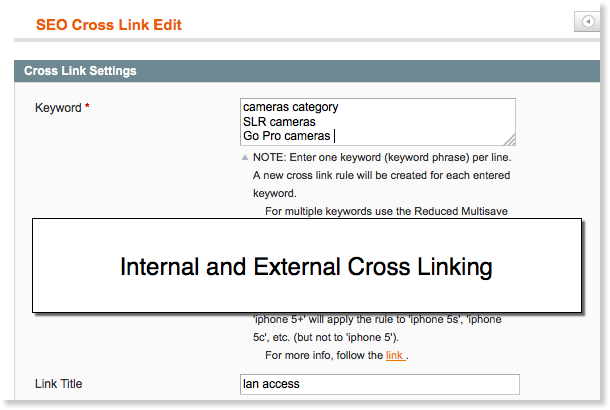 With the extension you can select any available LN attribute and manually enter a meta title, meta description, meta keywords and a full description that will be used on a page, filtered by it. Plus, you can specify a position of an attribute in the layered navigation block and tweak some other important settings. With SEO Suite Ultimate you can make a template for aheadWorks blog post titles, meta descriptions and meta keywords. Apply any template to all blog posts, a selection of articles or an individual blog post. Specify the values the template will be apply to + schedule the template auto-applies. Be immediately notified about any errors that occur during the process of auto-applying a template. Create templates directly from the Reports page for ANY selected items. Additionally, you will be able test your templates before applying them to live products. And finally, the system won't let you create different templates for the same products. NEW & UNIQUE Convenient Category SEO Grid - from here, you can mass-apply actions to a selection of categories. MageWorx Magento SEO plugin creates SEO-friendly product reviews pages. 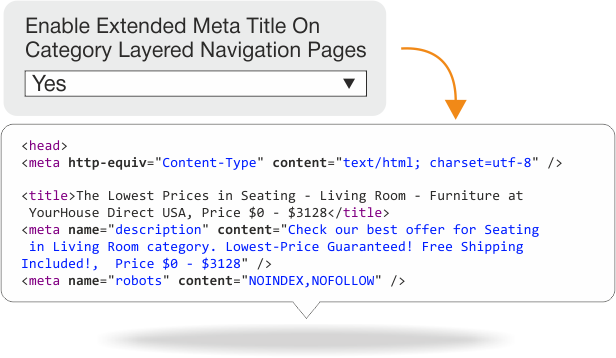 NEW & UNIQUE Set a custom meta robots tag for any attribute or attributes combinations in the layered navigation. With SEO Suite Ultimate Magento extension you can set indexation rules for search engines. Also, you can restrict their crawlers from accessing unimportant/private pages of your Magento store. This Magento SEO extension is fitted with a Robots.txt editor feature, so you can edit this type of files directly from the backend. 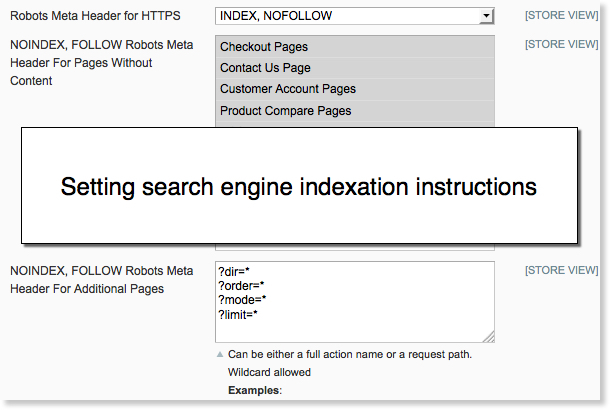 Also, with SEO Suite Ultimate you can add NOINDEX,FOLLOW or NOINDEX,NOFOLLOW Robots Meta Headers to any page. 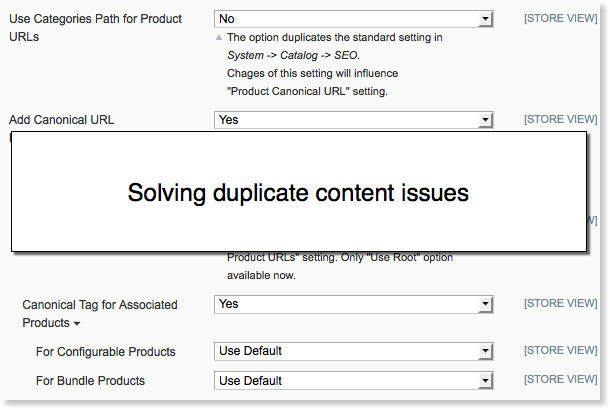 This Magento SEO extension lets you tackle duplicate content issues. So you can enhance the SEO potential of your E-store and attain maximum traffic without blocking different page URLs. If you are running a multi-lingual, multi-regional site, this feature can be of great help to you. 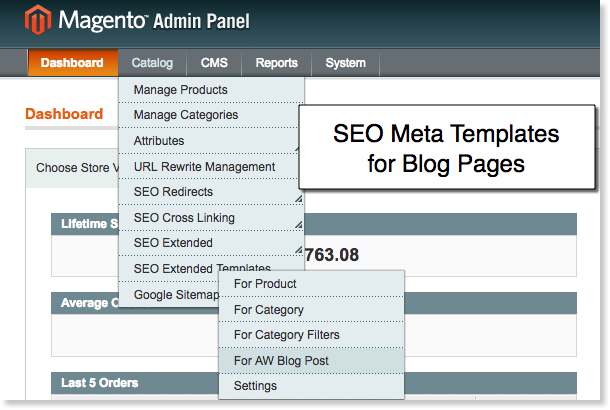 This Magento SEO extension lets you automatically link any keywords/ keyword phrases to any site pages or external sources. Also, the extension will help you optimize markup data for category and CMS pages. 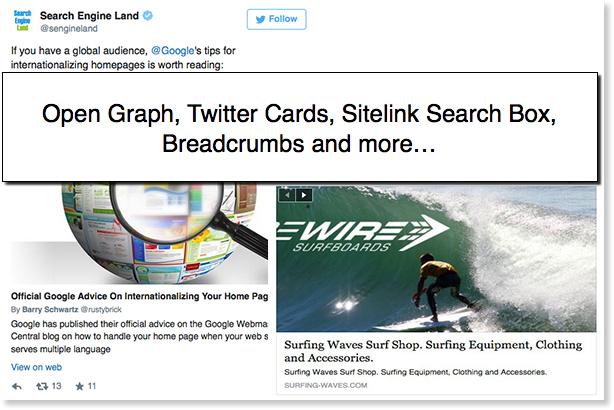 What is more, the extension supports Facebook Open Graph and Twitter Cards. 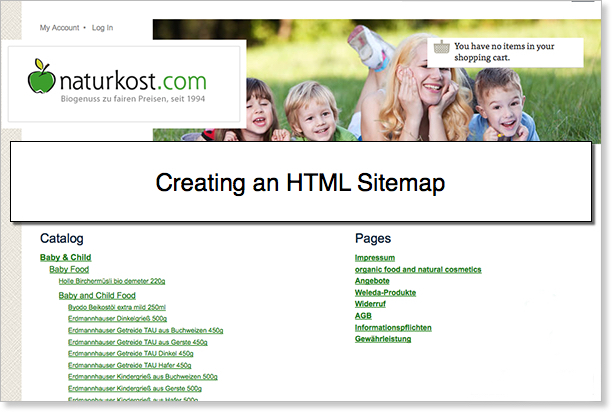 You can load a website image for your Homepage and add the OpenGraph for Category pages. By creating 301/ 302 redirects for deleted products/categories, you can make sure that the search engines and users will always land on the right page. Specify the time period to keep redirects on your site. NEW Also, with the extension you can create Custom Redirects to/from any product, category, CMS page or custom URL. On top of that, you can mass-enable/disable any redirects, check redirects stats (# of hits) and more. 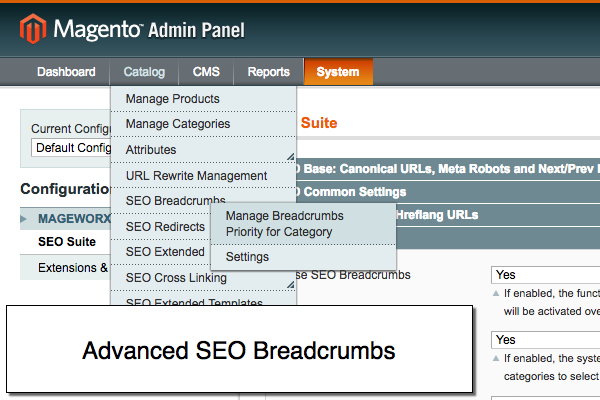 Make the default Magento breadcrumbs more informative and search engine friendly. HTML sitemap lets you outline the complete structure of your Magento store, which helps your visitors easily navigate through it. The SEO plugin generates a fully Google compliant XML sitemap that provides the search engine with the detailed crawling roadmap. The XML file is easily customizable: you can add product images, product tags and custom links, exclude specific products, categories and CMS-pages, set frequency and priority for any tag or additional links and even hide out of stock products. 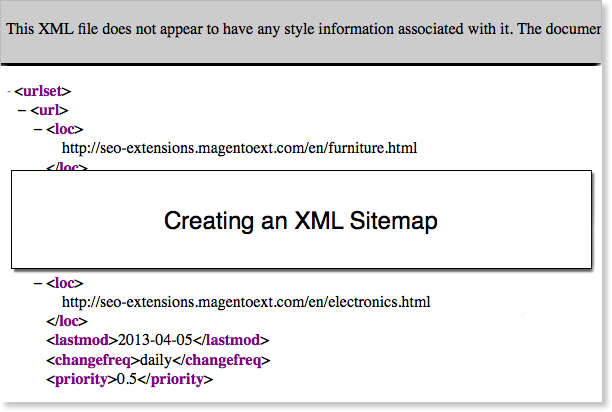 The XML Sitemap the Magento SEO extension generates is 100% error free. SEO Suite Ultimate runs a sitemap validity check, so that no broken file ever replaces the correct one while indexing. Fully compatible with AW Blog, FishPig Blog, FishPig Attributes Splash Pages modules. SEO Suite Ultimate extension generates comprehensive onpage SEO reports that let you detect and cure: pages with long meta title and meta description tags, pages that have duplicate meta title and meta description tags, pages with empty meta tags, and more. Available for products, categories and CMS pages. NEW Also, right from this grid, you can select products with duplicated or missing data, and fix them on the fly by creating new templates with unique SEO values. After dealing with a few inferior SEO extensions we finally discovered Ultimate SEO Suite and what a blessing that was! Fully scalable and adaptable to ever-changing Google requirements. Best yet is the people at Mageworx. You don't need to break your back explaining what needs to be done when change comes, because they are always up to speed on what's happening out there in the wondrous world of SEO. Always on the ball and spot-on. How rare it is to find a solution provider who just gets it! 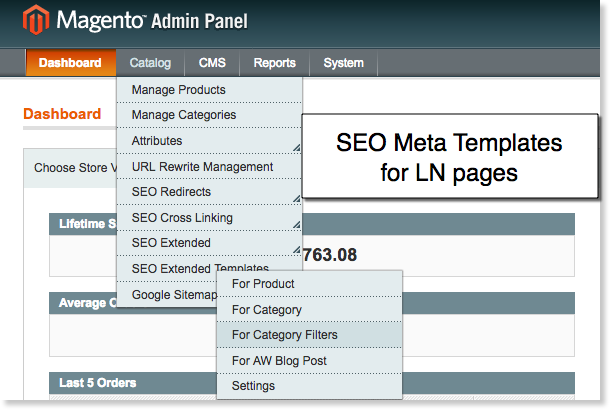 Check Manento SEO Suite extension on Magento Marketplace. Optimize your Magento 1 or 2 website the best possible way! Our SEO Config service includes: detailed SEO site audit, solving duplicate content issues, tweaking sitemaps settings, optimizing rich snippets, setting hreflang tags, Google & Bing Webmaster tools setup and a lot more. Magento Store Credits tool. Reward tour best customers with points and retain them and motivate the profitable behavior of the new ones. The MOST Vital Extension for any Ecommerce Store! This is the most vital extension to any ecommerce store, onpage SEO is such a huge factor that this extension is what helps you edge your competition with ease! This is a multifunctional extension for seo. This is a multifunctional extension for seo. Perfectly adjusts filters and makes url attractive.